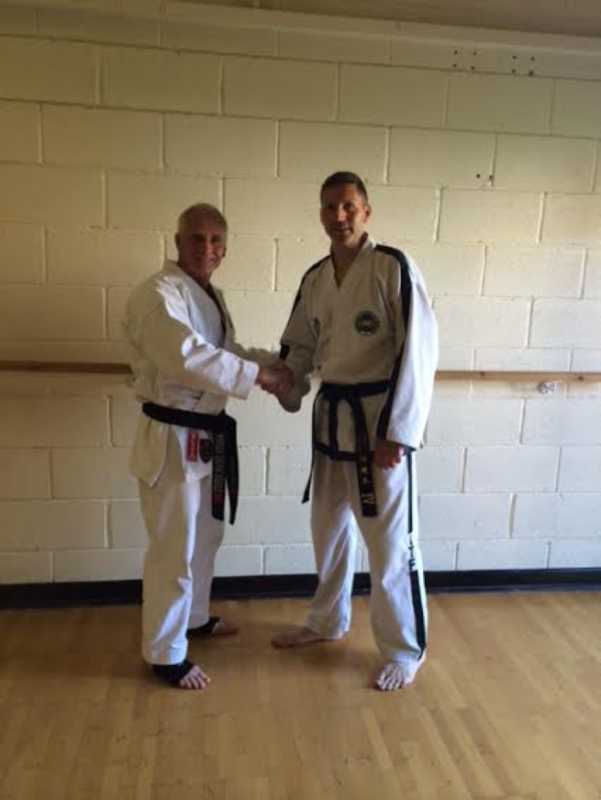 Mr Mark Empson is the founding chief instructor for St Edwards School of Taekwo-Do in Cheltenham. 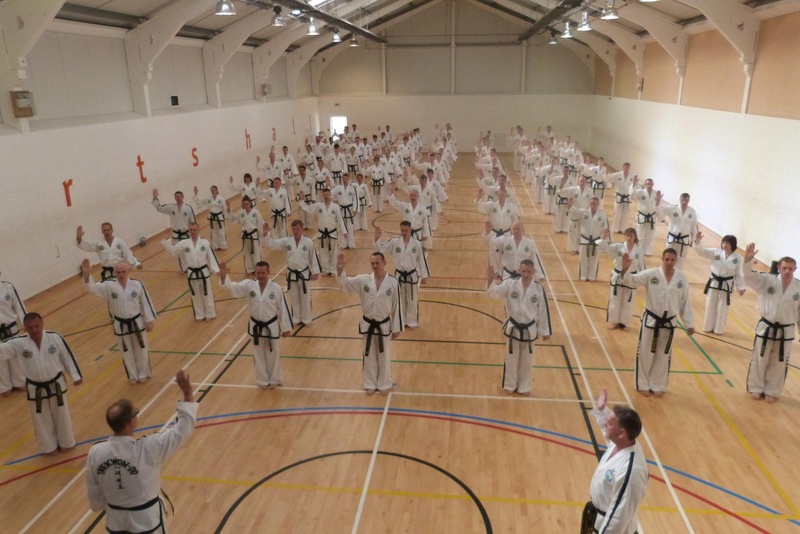 St Edwards School of Taekwon-Do is a member of the UKTA and original ITF. 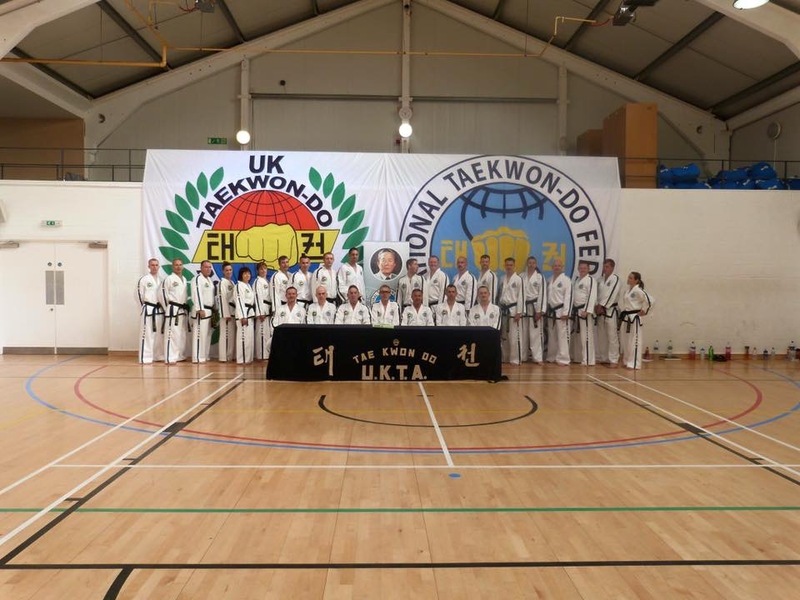 The UKTA was the first Taekwon-Do association ever to be set up in the UK by the world renowned Grandmaster Rhee Ki Ha in 1967. 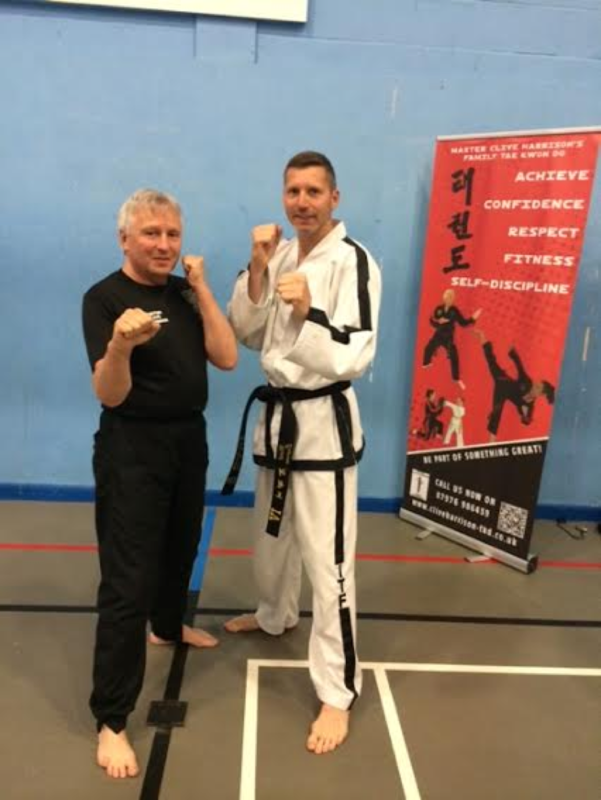 Mr Empson began his martial arts career over 30 years ago and is currently a fourth degree black belt and internationally qualified instructor and grading examiner under the ITF. 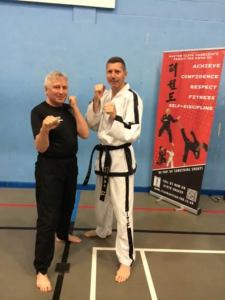 Over the past 30 years Mr Empson has gained a vast wealth of experience and knowledge through his extensive associations with world champions and Korean Grandmasters alike, additionally he has won the coveted title of both English Welsh and British Taekwon-Do Champion. 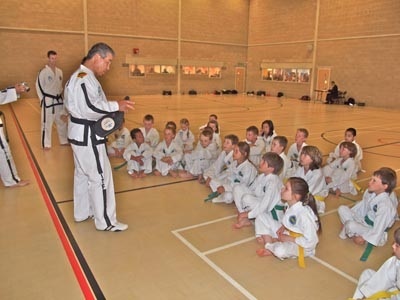 Regular attendance at UKTA and ITF seminars ensure that the journey of learning never ceases under the mentoring of Masters, Senior Masters, and Grandmasters. 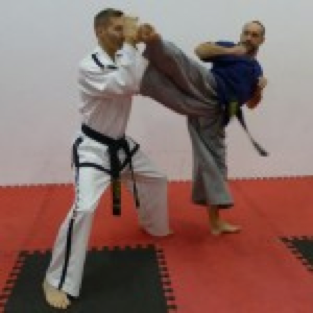 Other martial arts within his portfolio include full contact karate with WAKO, Shotagan karate, Ju-Jitsu and Kick Boxing. 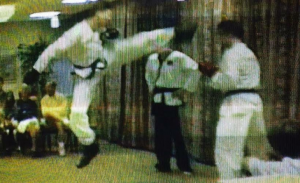 In 1989 I started training in tkd under Master Clive Harrison in Gloucester which happened to be one of the the best fighting tkd clubs in England. 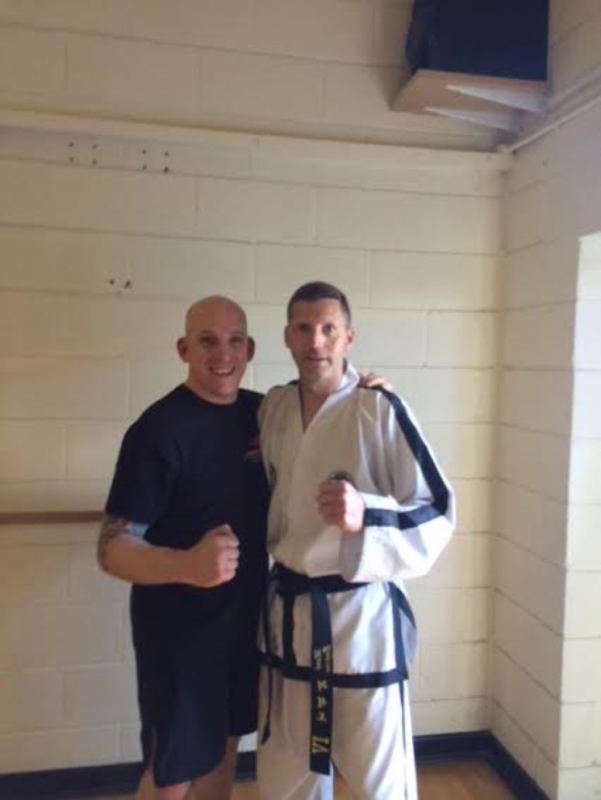 I learnt my fighting skills of the likes of Mark Weir, Neil Williams, Steve Pierson, Amrit Kalcutt the list goes on. 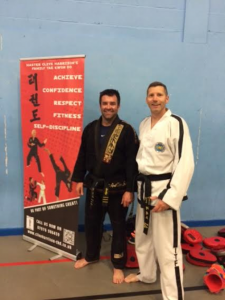 Due to moving I started training at Martin Paradine’s club at Evesham and my skill base continued to improve with black belts like Keith Matthews, George Byrne, Brian Higgins and Greg hay. 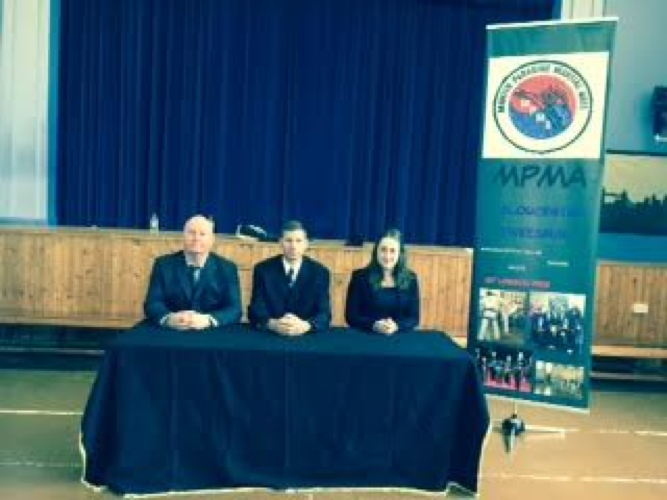 In 1994 I achieved my 1st degree black belt under an AIMMA appointed panel lead by Master Kalcutt. In 1995 I was asked by Mr Paradine to became part of a fantastic demo team. 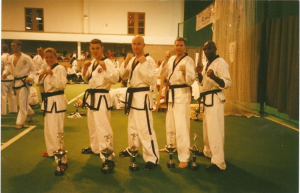 In 1997 Martin Paradine was asked by ITU to put together an England team to fight in the black belt team championships and to fight the Canadian team who were on there way to the TAGB world championships. 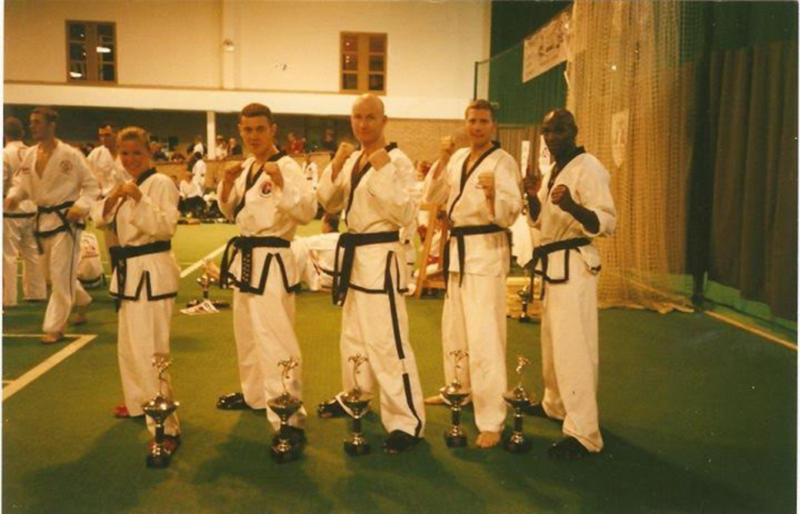 We had a really good team with some great black belt fighters, Myself, Racheal Prudden, Keith Matthews, Martin Paradine (captain) and Neil Williams. 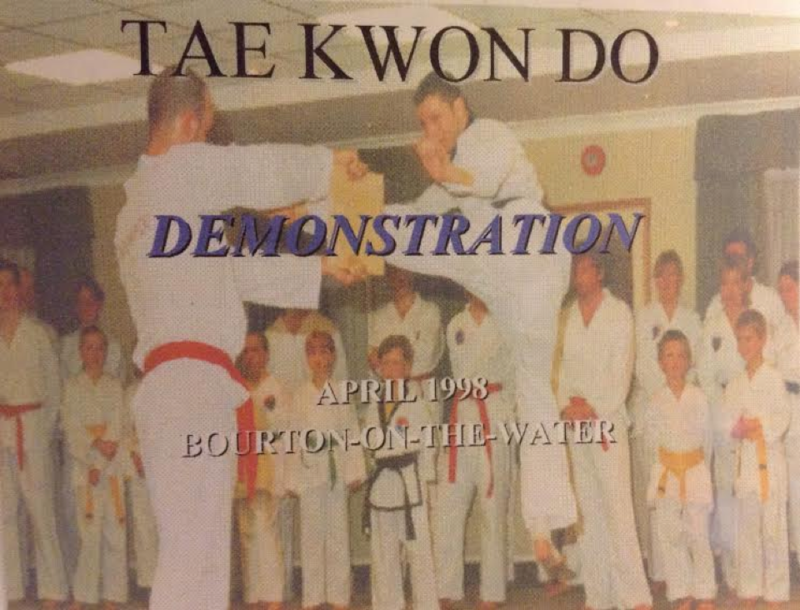 In 1998 I started my first school which was Bourton-On-The-Water tkd, I did a demo along with Mr Paradine at the local senior school and Mr Paradines students came along to help with the demo. 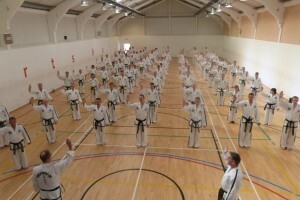 This was a big success pulling in over 50 students for my first lesson. 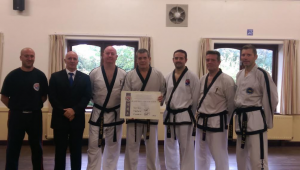 I achieved my 2nd dan in 1999 which I took under a ITU panel down in Cardiff, I remember this well as this was the hardest ever grading that I had taken so far and at the end of it all I was physically exhausted. 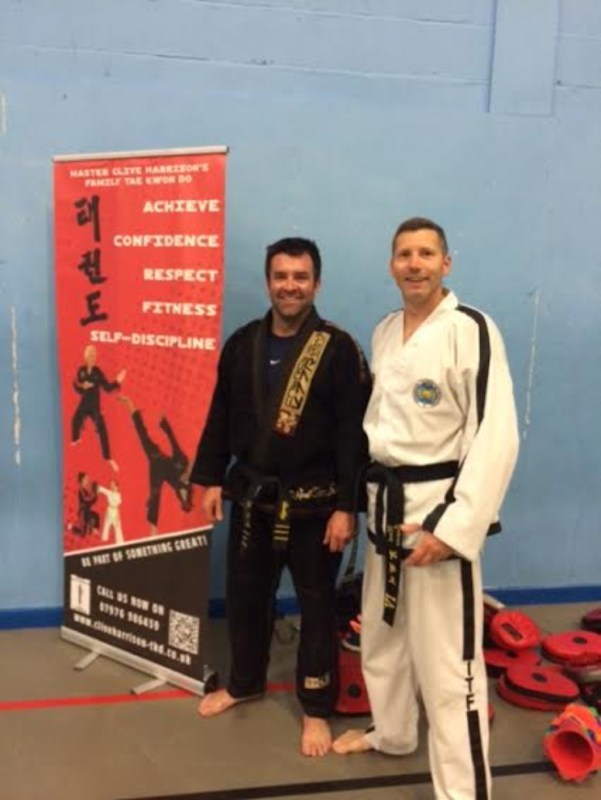 After settling into my 2nd dan I then felt that I would like to pursue training under the ITF. By pursuing this route I had to then make some hard decisions, I sat down with Mr Paradine and discussed my thoughts and direction that I would like to take and he gave me his full support and wished me all the best in my quest. 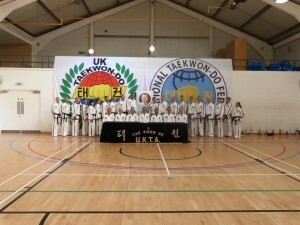 I joined the UKTA who were the original Taekwon-Do association founded by First Grand Master Rhee Ki Ha in 1967 and members of the ITF. I spent the next few years leaning about the origins of tkd and building my bourton-on-the-water club and its students. 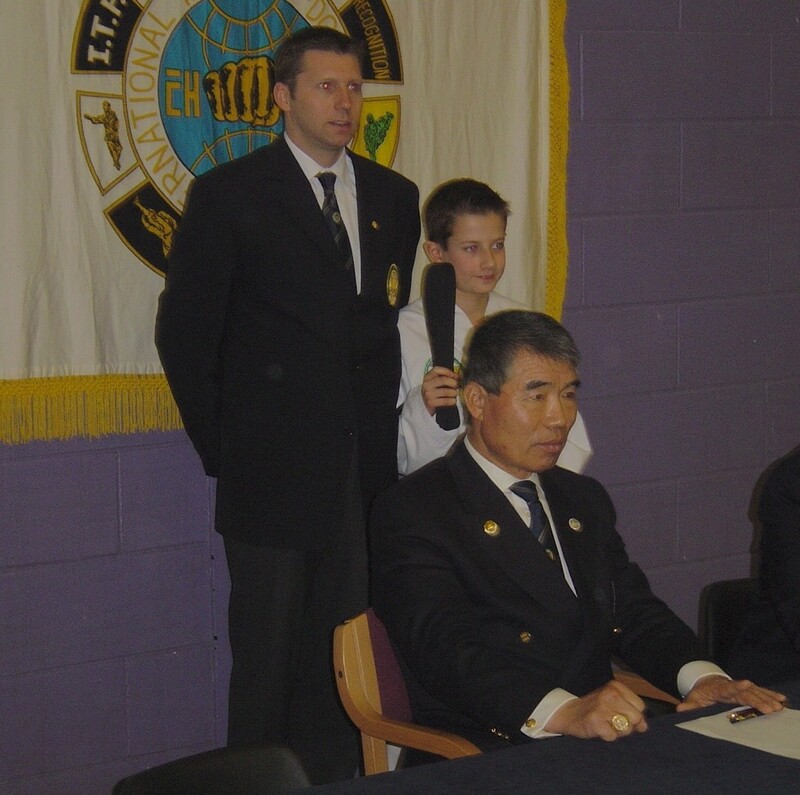 In 2002 I had the honor of grading under FGMR for my 3rd dan. 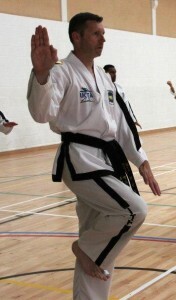 In 2005 I then took my 4th dan and my first international instructors course. 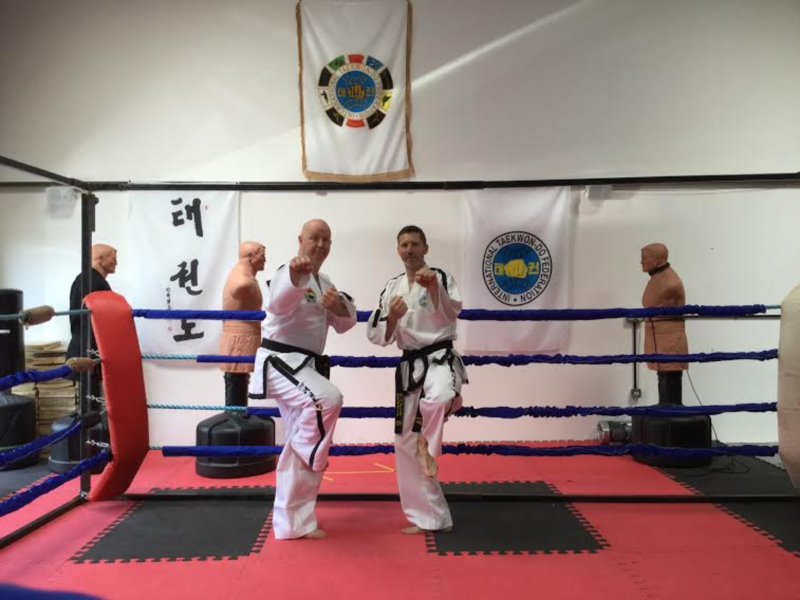 I Have had the fortune of attending and hosting many ukta-itf national and international seminars with some of the worlds greatest. In 2012 Martin called me to ask for my help in designing an advanced strength and conditioning schedule. 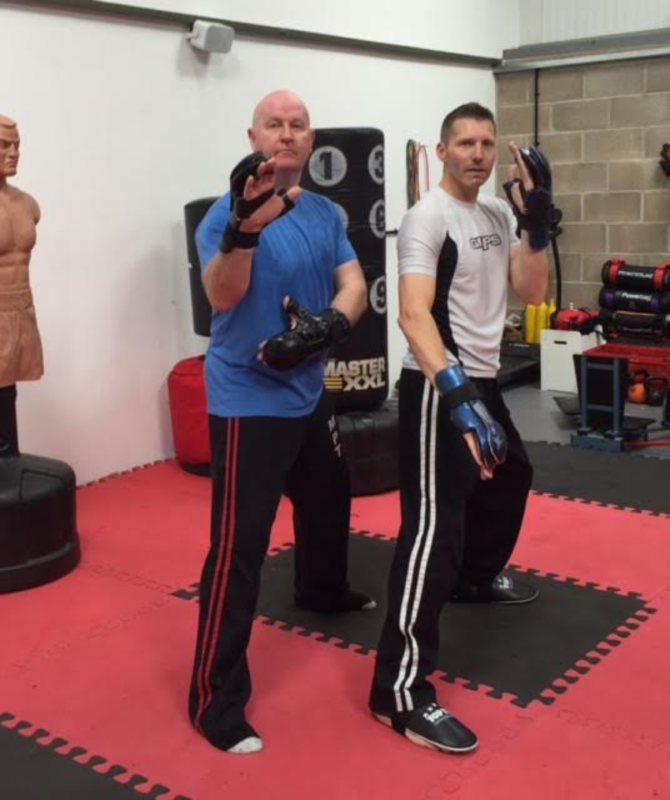 As a personal trainer he had asked me to adapt some training principles for kickboxing, boxing and circuit trainer classes. 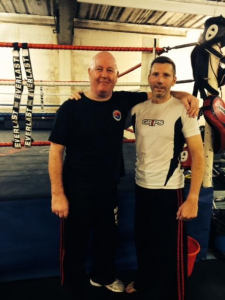 In return he has helped me improve my boxing skills which I am very keen on. Now I assist him with all boxing seminars and courses. Martin has a very good circle of training partners for each discipline and for the last few years I have been his training partner for stand up and striking. This lead me to being invited to sit on black belt grading panels for kick boxing and being part of promoting some very talented fighters. In 2013 I went back to my roots by being part of a great demo team that included boxing, kick boxing, tkd and self-defence. We’ve done demo’s for tesco, the scouting org and many others. The same year Martin started a boxing club in a Tewkesbury academy and he again called upon my skills to help him develop a good boxing team. 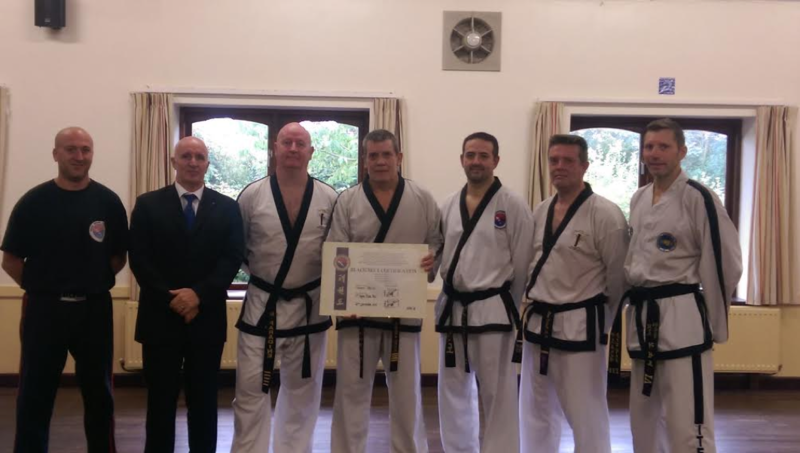 The same year I had the honor of getting on the grading floor with one of my old training buddy and mentor as he took his 5th dan promotion. A man I have a lot of respect for. In 2014 I was invited to coach boxing at a masters charity fund raising day with some incredible martial artists. Master Russell perks, Master Trevor Roberts, Senior master Clive Harrison, Master Harry Limer. 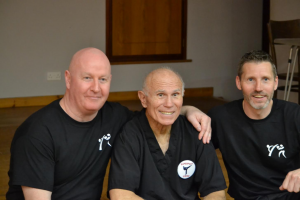 In 2015 we met and trained with the legend Bill’ super foot’ Wallace and also set up Empire martial arts and boxing academy which teaches tkd, Jujitsu, Boxing, kick boxing, Hadong Gumdo. I have recently be appointed technical director for Empire which is a great challenge for me, I’m hoping that my input will lead to producing more champions for Empire in 2016. This has motivated me at the age of 50 to go back on the national tournament circuit and lead from the front, this got of to a good start in the British championships in november 2015 by winning gold in sparring and bronze in patterns. I am planning to take my black belt kick boxing promotion in early 2016 and I’m still training very hard with as much passion for the arts as I’ve always had. I hope that this passion is passed on to my students and within how I teach. 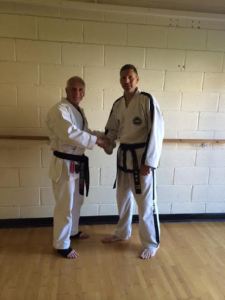 Mr Empson with First Grand Master Rhee Ki Ha and a newly promoted junior black belt in Glasgow. 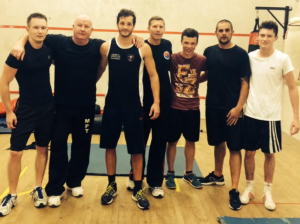 Mr Empsons son at a FGMR Seminar with the juniors.